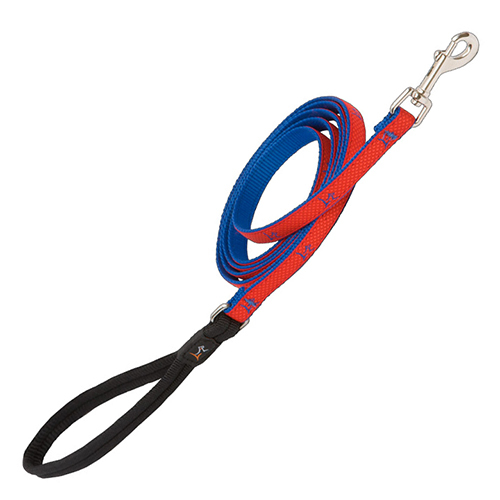 Dog lead line is fully adjustable, with the strongest side release buckle on the market today and made from recycled P.E.T (water bottles). Strong, Stylish and earth friendly! 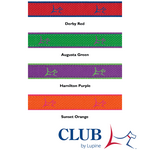 All recycled dog leashes come with the unique Lupine 'Even-If-Chewed’ Guarantee® and are machine washable. Available in 1/2", 3/4" and 1" width and 6' lengths. Handle - A comfortable hold. The padded handle on your Lupine lead is what sets it apart from other leads on the market. Comfortable and light weight in hand, a brushed nylon underside prevents burns that can occur when your pup pulls. 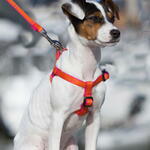 The non-bulky design can easily be stowed in a pocket when off lead. Gate Snap - Push and snap - easy. The cold weather friendly gate snap’s ease of use is its most popular feature. Simply push it on to the D-ring and voila! 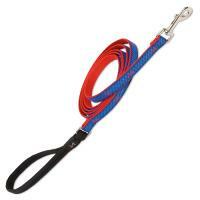 Note: 1/2″ Leads for small dogs utilize a light weight traditional style trigger snap.